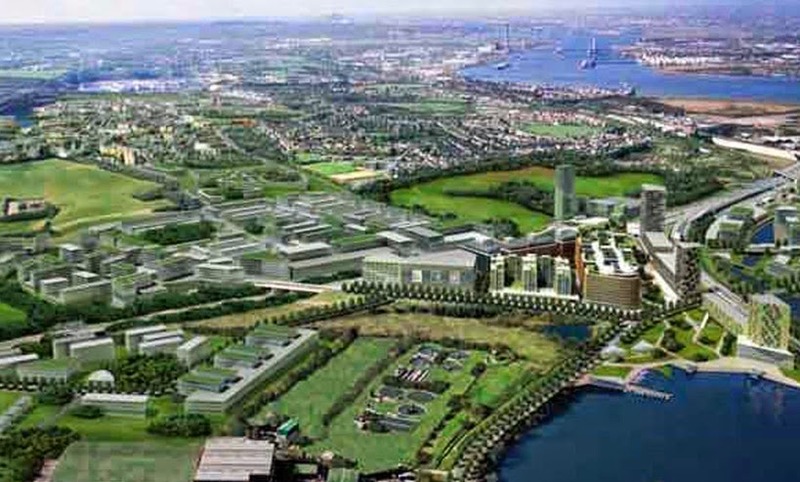 Plans for a garden city at Ebbsfleet, and potentially others in Kent and the wider South East, could be a step closer after the Government published its plans for garden cities. Identified as developments at or above the 15,000 homes level, the Government hopes they will be delivered more quickly than is typical through the existing planning system. Local support ­– schemes should have the full backing of all local authorities in which garden cities are sited, including the county council in two tier authorities. Schemes will also need to consider how the community will be involved as they go forward. Scale – to address the long term under-supply of housing, new garden cities must be ambitious in scale and allow for the formation of integrated and thriving communities, and provide the full range of commercial, retail, educational and leisure facilities that people need. Connectivity – the new cities should benefit from good access to either existing or planned transport infrastructure to provide connectivity to the rest of the country. Delivery arrangements – not surprisingly, the Government is concerned over their delivery, whether from publicly led arm’s length companies, public-private partnership arrangements such as joint venture companies, or statutory bodies such as development corporations, as proposed for Ebbsfleet. Commercial – alongside their delivery, the Government is focusing on commercial viability during the development phase and beyond by drawing in private capital and uplifts in land values to finance infrastructure. Land – the Government wants to encourage the use of a ‘significant element’ of brownfield land, as this will minimise opposition from environmental groups. Despite widespread media speculation on the possible locations of new garden cities, the document declines to mention preferred locations. To help bring forward the proposals, the Government has outlined a package of support, including contributions from the £1 billion Large Housing Sites Infrastructure Fund, alongside the Local Growth Fund, the Custom Build Fund, and the Builder’s Finance Fund. Communities have until Friday, 29th August, to submit their views on the issues and any barriers they see in developing garden city proposals. While the Government might want these schemes to be ‘locally-led’, everybody in the development community knows this can often be hard to deliver. The earliest possible engagement with the local community will be essential for the success of any garden city proposals.